Ant colonies are a good example of how the simple parts of organizations interact to create the behavior of the whole organization. So, it’s assisting to look at how all living beings coexist and how we can learn from them. There are about 10,000 species of ants. They live in colonies and all ant colonies have in common that no ant directs the behavior of any other ant. All behavior is directed according to the Principle of Equality. if you watch ants, they never seem to be doing anything exactly the way that you think that they ought to be doing it. However, Ants have been around for several hundred million years. They have covered the earth everywhere, except for in Antarctica. Something they’re doing is clearly successful and serves for us an example of how life support given to all living beings, will bring forth an expression of self as we’ve never known. What’s the relationship between the ants and how is an Equal Money similar in that the Queen represents an Equal Money System and then there are workers and there are warriors. What’s the relationship between the ants doing the different tasks? Does it matter to the foragers what the nest maintenance workers are doing? Does it matter to the midden workers what the patrollers or the warriors are doing? Does it matter to any of them what the Queen ant is doing. A perspective with Bernard Poolman and brief commentary by Cathy Krafft – Take your position. Worker? Warrior? http://www.equalmoney.org . 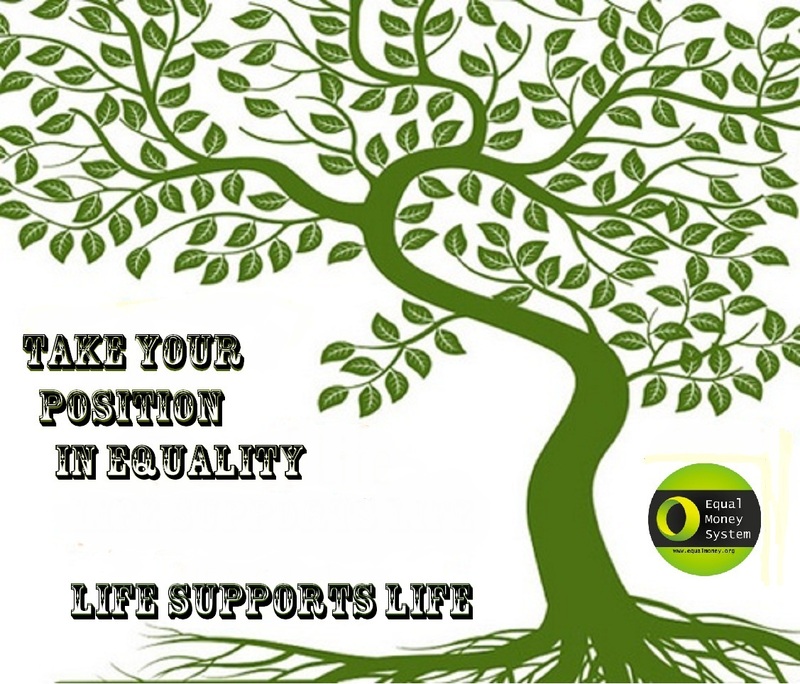 The Equal Money system will be a first step in the political agenda of the Equal Life Party worldwide, once we start participating in democratic elections. You’re invited to Join Us. The Book – Equal Money System will Release September and onwards 2011 — More than 40 books will be released – Subscribe to the book newsletter to receive a notification when it’s available. This entry was posted on September 24, 2011, in Uncategorized and tagged ant colony, Ants, asset value, Attorney General, Celebrities, Chief of Defense, consumerism, debt, Deputy Prime Minister, Desteni, destonian, Dictators, Equal Money, Equal Money System. capitalism. consume, equality, Federal Reserve Bank, foragers, Head of State, Hollywood, Kings, midden workers, nest maintenance workers, patrollers, Popes, Presidents, Queens, species, The Fed, warriors, workers, working class, world equality, World leaders. A schizophrenic's journey from consciousness to awareness. In Oneness & Equality! the starting point of writing!! Is life possible without the mind? Sharing The Process of Realizing My Potential As A Parent. My 7-year process of self-writing to freedom. Self-Forgiveness, Self-Responsibility, Action and Non-Violence. Walking myself out of my mind.